The old Drive Bridge was built in 1876/1877, at the time when the Stanford Estate was being developed. It was not designed to carry any heavy traffic and there was a ban on any vehicle exceeding 3 tons in weight. Long before the 1939-1945 war, negotiations had been started for the reconstruction of the bridge, but it was not until 1952 that Ministerial approval was granted. 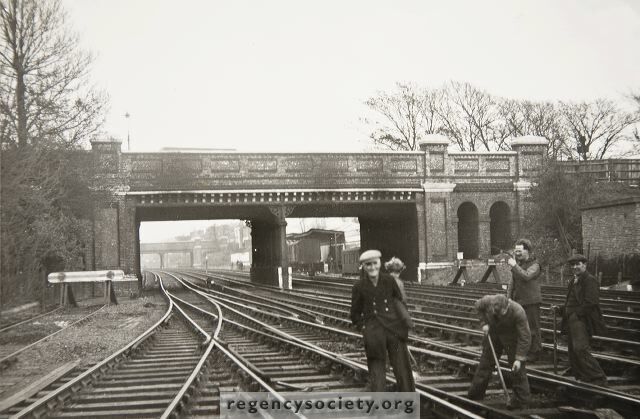 Work commenced in the autumn on 1953. This view shows the bridge from the west, with Wilbury Road Bridge in the background.